BATON ROUGE — In a stunning display of mistrust between Republicans and Democrats, the House failed Sunday to agree on any revenue-raising measures, all but killing the special legislative session that was called to deal with a looming $1 billion budget shortfall. The last of many disagreements over 13 days came over the order of the votes on two bills that were essential to a compromise, and it was clear that neither side trusted the other enough to approve its bill first. Democrats said they had an agreement to vote first on House Bill 8 by Rep. Walt Leger, D-New Orleans, which would reduce the deductions that Louisianans can claim on their state taxes. But many Democrats and some Republicans were surprised when GOP leaders decided to vote first on House Bill 23, by Rep. Stephen Dwight, R-Lake Charles, which would have extended a quarter of a penny increase in state sales tax until 2021. Legislative Black Caucus members and other Democrats had opposed Dwight’s bill, which would have raised $290 million, out of concern that a sales tax increase would hurt poor people disproportionately. But they had agreed to vote for it if Leger’s bill, which would have raised $79 million from wealthier taxpayers, was approved first to help balance the burden. But when Leger asked to put his vote first, the House voted 45-58 against it. And despite impassioned requests by Rep. Julie Stokes, R-Kenner, and Rep. Katrina, Jackson, D-Monroe, to put his bill aside for a few moments to allow a vote on Leger’s bill and keep the session from collapsing, Dwight refused and insisted on a vote that would eventually kill his bill. Speaking to reporters afterward, Stokes said there had been an agreement to put Leger’s bill first and “apparently there was a decision by some to not respect that agreement or not to go that way.” She said the minute they decided to take up the vote, the chamber knew the special session was about to end. The House adjourned until 4 p.m. on Monday. Dwight’s bill, which Republicans have said is essential to any compromise, has failed twice and cannot be brought up again, suggesting that there is little chance left to find a solution. The bitterness over how the potential deal collapsed in the House also could make it hard for lawmakers to come to agreements over major cuts in state services that now will be required in the regular session and makes it likely that there will be another special session in June to consider tax measures. Some Democrats would not vote for either Leger’s bill or Dwight’s bill unless an amendment was removed that linked those measures to bills tightening eligibility for Medicaid recipients and encouraging them to work. Before voting down Dwight’s bill, lawmakers removed the Medicaid amendment. He said that he wanted his and Leger’s bills to pass in tandem and would have voted for each. Dwight also said he was left out of backroom negotiations over his bill involving Democratic Gov. John Bel Edwards, House Speaker Taylor Barras, R-New Iberia,and Senate President John Alario, R-Westwego. Dwight said he did not find out until he arrived at the House Sunday afternoon that there would be a vote to remove the Medicaid amendment from his bill. He also said that while he supported the Medicaid provisions as part of a larger compromise, he never thought, as some Republican legislators did, that they needed to be attached to his bill. Rep. Barry Ivey, R-Baton Rouge, said he did not know about a potential deal involving the two bills, but agreed on the lack of communication. Gov. Edwards and other Democratic leaders also claimed that Republicans had not negotiated in good faith. But some Republicans argued their party had made the necessary concessions, and it was the Democrats, particularly the Legislative Black Caucus, who were to blame. 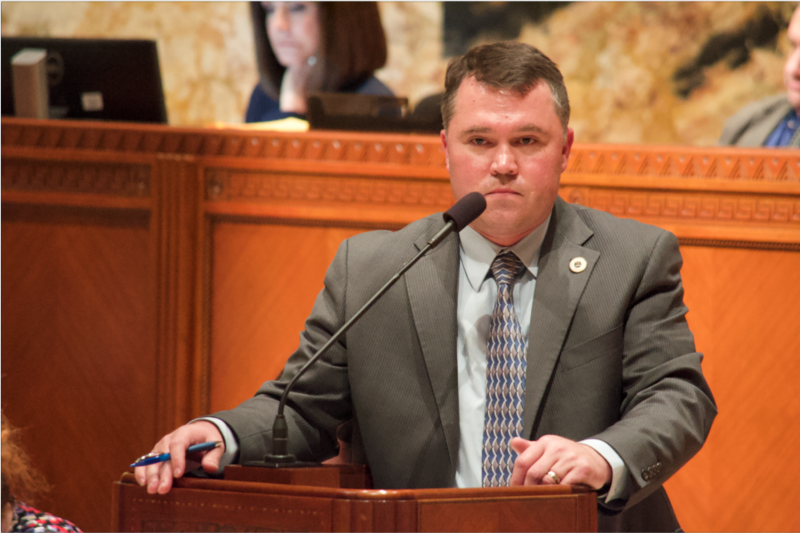 Four members of the caucus voted against Leger’s bill on Friday because of the Medicaid amendments. Barras voted against Dwight’s bill. Some Republicans had contended throughout the session that the budget gap is likely to be smaller than projected and that there was no urgency to raise more money. “Obviously, this was a ‘Sine Die’ moment,” Stokes said, referring to the motion that would end the session for good. Alario had said that the House had to send over a compromise bill by Monday for the Senate to have time to also pass any revenue measures. Taxpayers pay around $60,000 for each day of a special session.